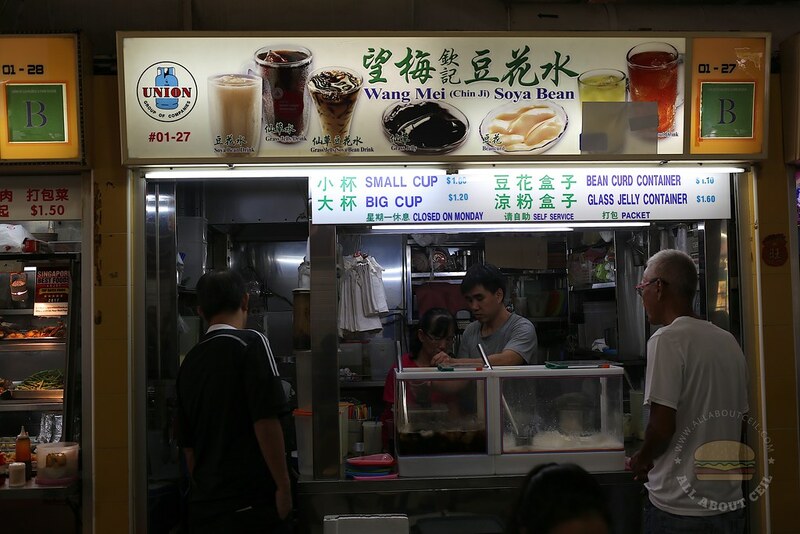 This stall has been in this food centre for more than 30 years, manned by an elderly couple. The Grass Jelly, Grass Jelly Drink, Soya Beancurd, and Soya Bean Drink are still making at the stall. There are 2 sizes for the drink, the small cup at $1.00 and the big cup at $1.20. The Grass Jelly and Soya Bean Curd are priced at $1.50 each. There was a younger guy manning the stall when I was there. I ordered the big cup of Grass Jelly Drink and Soya Bean Drink. He asked, "Less sweet?". I replied, "I like it sweeter." He said, "Most people wanted it less sweet but there are some that prefer sweeter." I told him that a friend recommended it. He smiled and said, "Thank you." 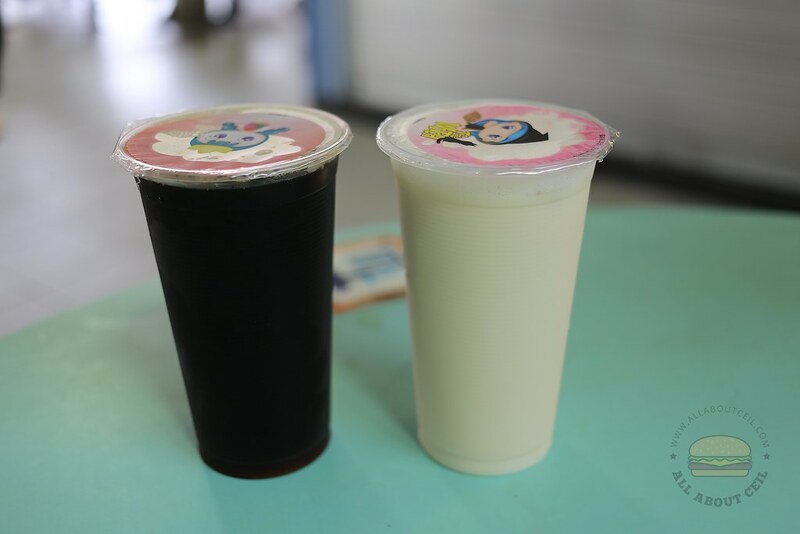 The Soya Bean Milk was left just a bit slightly after 1 pm on a Sunday and the Grass Jelly Drink was also finishing. The Grass Jelly Drink tasted different from the others out there, it has a comforting homemade taste. There is a rather mild, slightly bitter taste that reminded me of my late mother. She used to buy a block of grass jelly, shredded it and boiled it with sugar. I was telling my dining companion that it has "妈妈的味道". I also told him that this is one of the better Grass Jelly Drinks that I ever tasted. I lost my mother when I was 10 years old and that was part of the memories that I had of her. The Soya Bean Drink has a thick and creamy taste, an extra amount of syrup was added for a slight sweetness as requested. You never go try the chicken rice? This stall opens only in the morning and there's a queue at 6am. Its all sold out by 10am usually. How is this comparable to Guan Kee Kway Chap? This one been around for many many years. Guan Kee was at coffeeshop before moving in. I think it got more variety than Guan Kee. But my stuff was cooked too long and taste tough this morning. The daughter of Guan Kee is working with Makansutra. It might be so that they seem to have more publicity. You for try the Seletar ban mian? The soup is very tasty! I tried before. There is another stall with the same stall name in Ang Mo Kio run by his brother. The八巷鱼圆面actually sells yong tau fu. They are cheap and good too. They sometimes give discount as well, like $7.1 for $7. The soup isn't the soya bean kind. I can't tell what it is. But i don't suggest going for the dry noodles. Go for kway teow if you want it dry. They drop in bits of lard as well. And if you come in the evening, there's this 6:31pm to 1:36am prawn noodles. This is old stall as well. They used to only open at 9:31pm. They were featured in the old editions of Makansutra. But I feel the standard has dropped drastically.